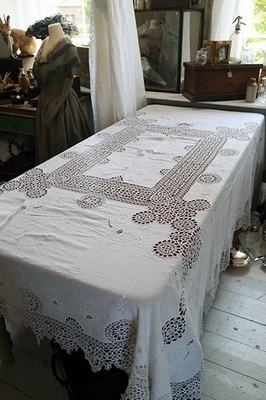 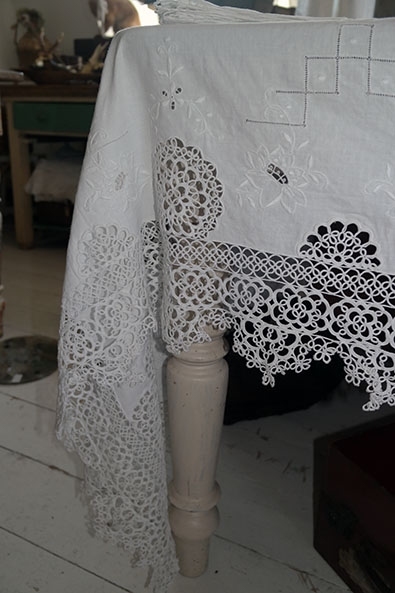 Gorgeous antique white cotton tablecloth and napkins with LOTS of tatted lace and embroidery, early 1900's. Rare large size, it measures 270 x 230 cms, in the pictures it is on a table measuring 220 x 90 cms. 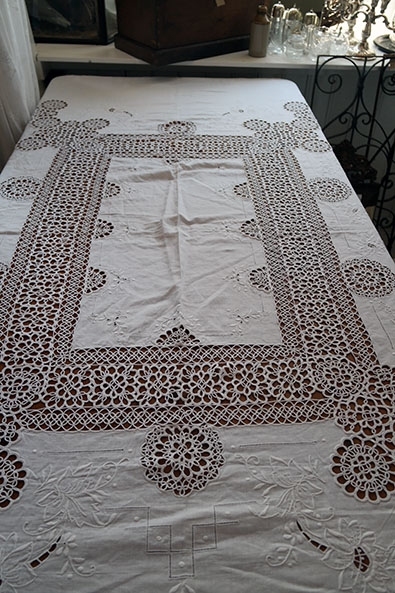 The table cloth has stunning designs of tatted lace, a very large centre design and a lace border. 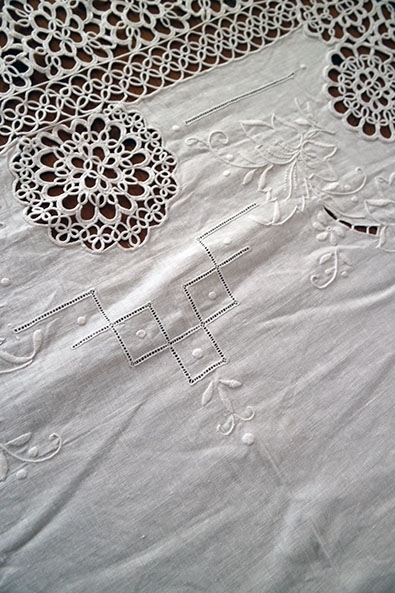 It also has beautiful whitework embroidery in the form of flowers and even open work embroidery. 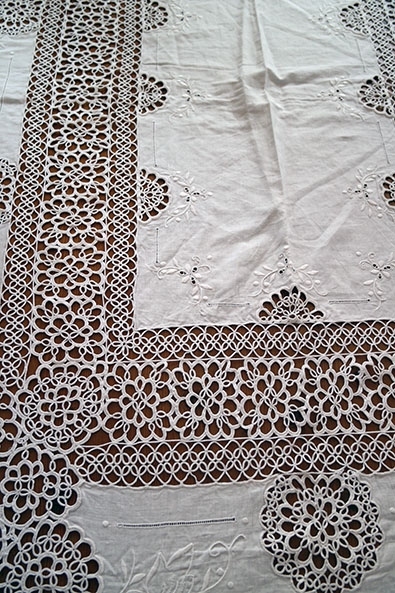 Entirely made by hand, someone once spent an amazing amount of time on this... And did an amazing job. 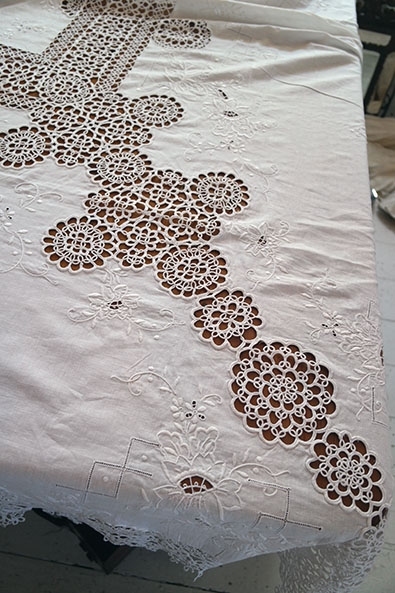 Very well made, really fine work. 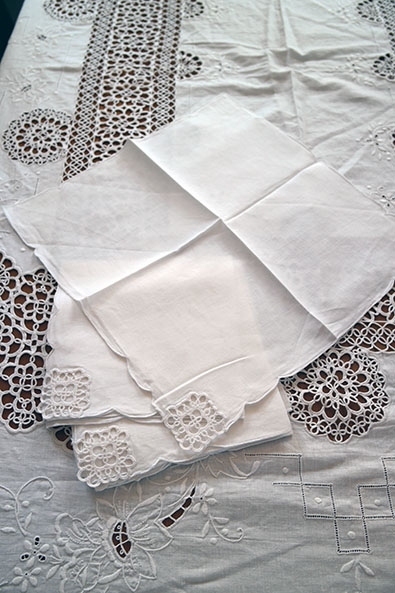 Complete with six napkins, those have a tatted lace design in one of the corners each. 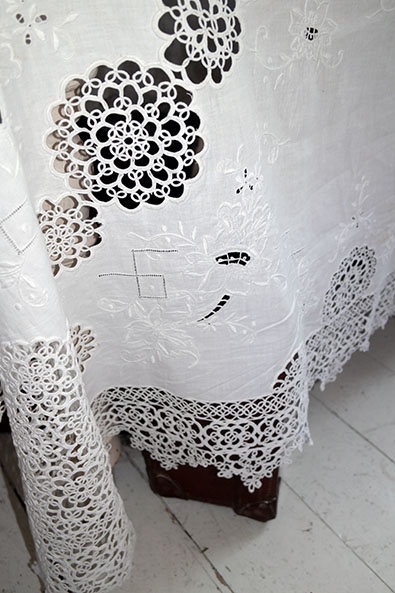 In excellent condition, freshly laundered.